When it comes to garage doors in Liberty, MO, there's no name more trusted than Raynor Garage Doors. Offering professional and personal service to homeowners and business alike, we believe that our company has something to offer everyone. Raynor Kansas City is a family-owned company, and the owners actively manage the business on a daily basis. As members of a variety of professional organizations, you can rest easy knowing that you can trust our company with your garage door systems. 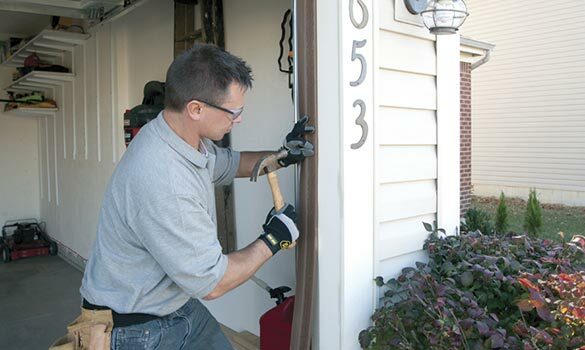 The service, repair, and installation of both residential and commercial door systems is our specialty. Whether you're trying to determine if your door needs to be replaced or you're looking for an estimate on a new door, our friendly staff is always ready to help you find what you're looking for. Not sure what style to chose? Stop by our showroom where we have many styles on display for you to take a look at. Our expert staff is happy to speak with you about your unique taste and budget to select the door that's the best fit! How do you want to transform your home?